In a large resealable bag, mix together the soy sauce, lemon juice, chili sauce, and garlic powder.. Place the pork chops into the bag, carefully seal the bag, and marinate for 6-12 hours in the refrigerator. Turn the bag over about halfway through. 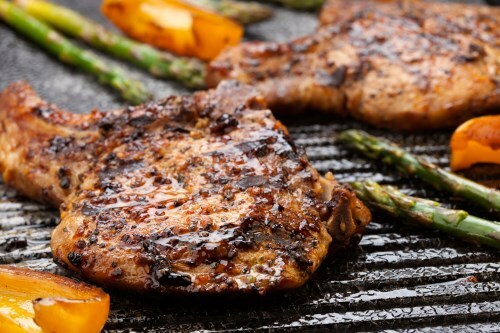 Arrange pork chops on the lightly oiled grate, and cook 5 to 7 minutes on each side, until the internal temperature reaches 145 degrees F (63 degrees C).